If you have some natural curl or wave in your hair and are struggling to find great hair solutions geared for you, then Ouidad has some specially formulated products to help you make the best of what you have for keeping your hair beautiful and manageable. For this review, I was provided with their Tress Effects Styling Gel, which was perfect for someone like myself with waves and loose curls. I sectioned my hair first before applying the Tress Effects to my slightly damp hair using the directions on the bottle. I dumped a small amount into the palm of my hand. Then I worked my gel-coated hand in my hair through my layers, a section at a time, going from the scalp down. I twisted and crunched, holding the curl in place, before I moved onto another section. I did this method until I finished my entire head. I only wanted some hold to keep my long bangs back to the side so I skipped twisting there, which worked fine as well. 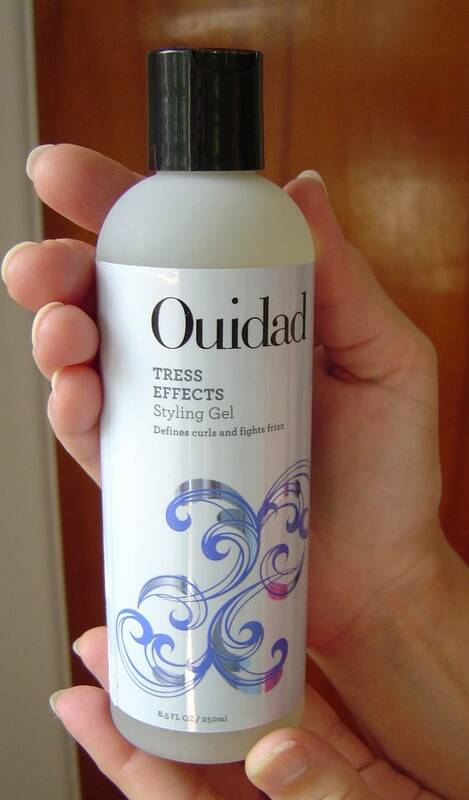 This Ouidad Tress Effects Styling Gel product worked nicely on my head without undue stickiness. This gel has special proteins, vitamin B5, botanicals, and collagen for manageability and to help lift those curls and prevent frizz. It really did seem to plump up my curls and kept them looking pretty a lot longer than I expected. I do think anyone with some waves definitely would like to try this gel out!